WORD Bookstores in Greenpoint, Brooklyn hosted a Speculative Fiction Matinee on Sunday, April 24, 2016 with Sunil Patel, featuring Keffy Kehrli and Leanna Renee Hieber. Before the event I was able to interview Sunil about his inspiration for creating the event and how he has developed as a writer. Unfortunately, that interview is not ready for me to post, but I would be remiss if I didn’t mention the authors and their works I added to my TBR that weekend. Thanks for a great time and introducing me to your writing! 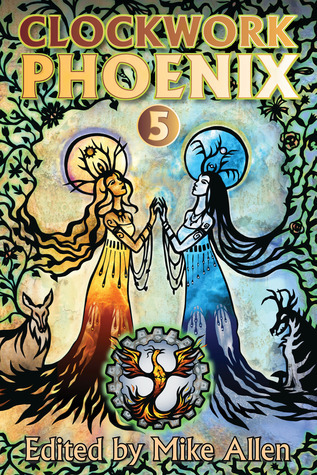 Clockwork Phoenix 5 edited by Mike Allen – The ground-breaking, boundary-pushing, award-nominated series of fantasy anthologies returns for a fifth incarnation, triumphantly risen from the ashes after another successful Kickstarter campaign. This is the largest installment yet, holding twenty new tales of beauty and strangeness. Each story leads you into unmapped territory, there to find shock and delight. With fiction from Jason Kimble, Rachael K. Jones, Patricia Russo, Marie Brennan, Benjanun Sriduangkaew, Rob Cameron, A. C. Wise, Gray Rinehart, Sam Fleming, Sunil Patel, C. S. E. Cooney and Carlos Hernandez, Holly Heisey, Barbara Krasnoff, Sonya Taaffe, Alex Dally MacFarlane, Shveta Thakrar, Cassandra Khaw, Keffy R. M. Kehrli, Rich Larson, and Beth Cato. 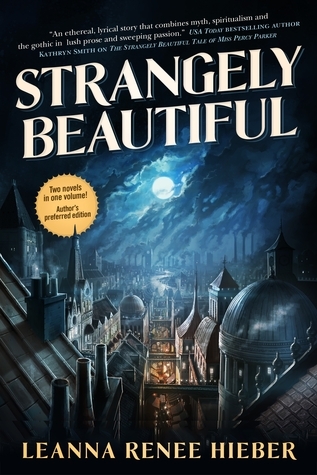 Strangely Beautiful by Leanna Renee Hieber – Originally published as two books, Strangely Beautiful unites Leanna Renee Hieber’s critically acclaimed novels in a single revised volume, restoring the author’s original vision for the work. Miss Persephone Parker—known as Percy—is different, with her lustrous, snow-white hair, pearlescent pale skin, and uncanny ability to see and communicate with ghosts. Seeking to continue her education, Percy has come to Queen Victoria’s London, to the Athens Academy. What she will learn there will change her life forever. Athens Academy is the citadel of The Guard, an ancient order that battles the forces of evil. The Victorian Guard, led by professor Alexi Rychman, is incomplete. They cannot defeat Jack the Ripper— who is more than the serial killer he appears to be—or the greater monster his appearance heralds. Percy’s lifelong habit of concealment combined with Alexi’s fevered search for the Guard’s missing seventh nearly prove disastrous as ancient Greek myths begin playing out in modern, gaslit, Victorian London. Percy and her new friends and allies must overcome their preconceptions about each other and their own histories before they can set the world to rights. 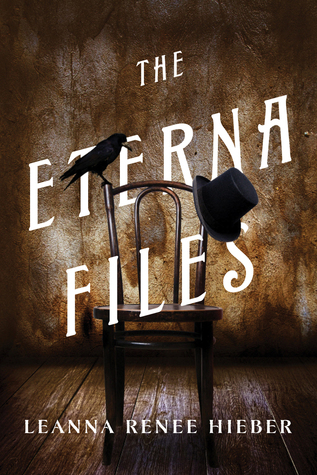 The Eterna Files by Leanna Renee Hieber – London, 1882: Queen Victoria appoints Harold Spire of the Metropolitan Police to Special Branch Division Omega. Omega is to secretly investigate paranormal and supernatural events and persons. Spire, a skeptic driven to protect the helpless and see justice done, is the perfect man to lead the department, which employs scholars and scientists, assassins and con men, and a traveling circus. Spire’s chief researcher is Rose Everhart, who believes fervently that there is more to the world than can be seen by mortal eyes. Their first mission: find the Eterna Compound, which grants immortality. Catastrophe destroyed the hidden laboratory in New York City where Eterna was developed, but the Queen is convinced someone escaped–and has a sample of Eterna. Also searching for Eterna is an American, Clara Templeton, who helped start the project after the assassination of Abraham Lincoln nearly destroyed her nation. Haunted by the ghost of her beloved, she is determined that the Eterna Compound–and the immortality it will convey–will be controlled by the United States, not Great Britain.